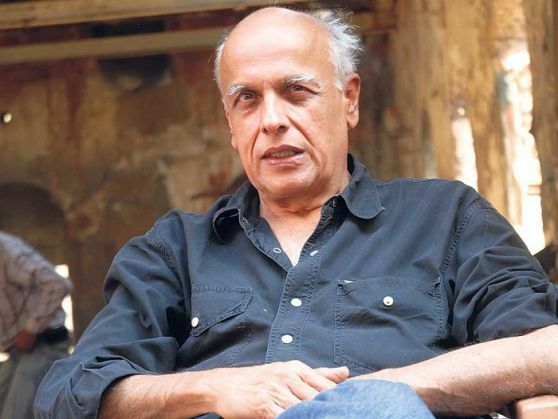 With acclaimed filmmaker Shyam Benegal heading a committee set up to revamp the Central Board of Film Certification (CBFC), filmmaker Mahesh Bhatt believes one shouldn't be scared to exercise his or her right to freedom of expression, despite pressure from the central government. "You will have to fight because there will be pressure from the government... whoever comes into power. You will get threats to curb your voice but you shouldn't be afraid because India's Constitution has given you the right to freedom of expression," Bhatt told a TV channel when asked about Benegal's involvement. Bollywood celebrities like Madhur Bhandarkar, Anupam Kher and Kabir Bedi hailed the government's decision to form a committee headed by Benegal to revamp the CBFC, which has been mired in controversies recently. Asked who will be cast as the lead in the Hindi version of Srijit Mukherji's Bengali film Rajkahini, which Bhatt is producing, he said the announcement will be made shortly. "We (Srijit and I) have started working on it. Soon you will see its Hindi version with a new interpretation," he added, but refused to divulge whether actress Vidya Balan or Rituparna Sengupta will essay the lead.